Most likely not, especially if we want to continue to be able to innovate and reduce operational expenditure. With the advance of mobile technology there has been little or no change to the quality of services provided, but this can only go on for so long. A lot is being made of new hardware technologies: Small Cell and 5G, but there is not much foresight on the operational side of things, and that ultimately needs to change because managing legacy OSS is going to become increasingly difficult and with that will bring spiralling opex costs. Moving to 5G will be a comprehensive task, with the transformation of user interfaces, connectivity, infrastructure and operations. Dealing with the management challenges that 5G will bring, will need planning and the creation of a 21st Century OSS architecture providing evolving analytics, automation, actionable intelligence and orchestration capabilities. 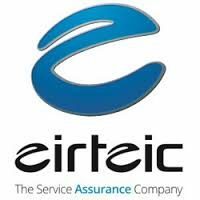 Eirteic are working with a number of service providers to deliver just that, a Unified OSS architecture that not only manages the legacy but are future proofed for 21st Century innovation. Our partners AssureNow, FNT and Cortex are providing innovative solutions to allow our customers to Unify end to end services across converged infrastructures, Simplify service management process and Enable TCO reduction.